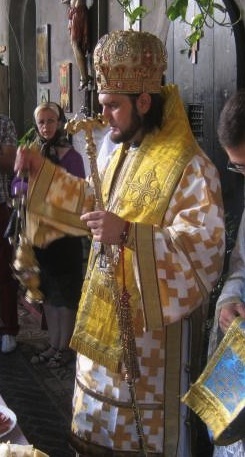 Archbishop Abbondio of Como, auxiliary to Metropolitan Evloghios of the Old Calendrist Milan Synod, is set to visit Metropolitan Vladimir (Canterean) of the Moldovan Orthodox Church next month in Chisinau , after which he will make a pilgrimage to the relics of St. John the Wonderworker in San Francisco. The agenda for Archbishop Abbondio's meeting with Metropolitan Vladimir has not been announced, but doubtless pertains to the reception of the Milan Synod into the Moscow Patriarchate. More (in Italian) here.